One of the best cities for dating in California is certainly San Jose, which is the largest city within the Silicon Valley. Its population is about 950,000 people with a median age of 32.6 years. There are numerous universities in the city with San Jose University, San Jose City College at the forefront and a number of students fluctuates around 50,000. 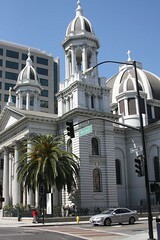 San Jose is a multinational city that brings about numerous dating possibilities. Below are some, in our opinion, interesting proposals for not only the first date in San Jose. Proximity to the airport was not without influence on the architecture. Downtown area is under the final approach corridor to the airport. Therefore, we do not find here magnificent skyscrapers and building height is limited to about 300 feet. Despite the fact that citizens complain about the architectural style of the building, you will still find here some interesting and worth seeing objects during your date in San Jose. If this is your first romantic visit to the city you should necessarily see Cathedral Basilica of St. Joseph, Downtown Historic District, Plaza de César Chávez, the Hotel Sainte Claire, and the De Anza Hotel, which due to the architectural and historical significance are listed in the National Register of Historic Places. It is worth to see the Winchester Mystery House – an unfinished residence of Sarah Winchester, the widow of William Winchester, widely regarded as haunted and famous for its unusual architectural features which was to protect against ghosts. We can confidently call San Jose a city of culture. If you are culture-lovers and you just can not imagine your perfect date without a visit to the theater or opera, you certainly will not be disappointed how many performing arts companies can be found here. While in the area you should go to the Opera San Jose, Symphony Silicon Valley, Ballet San Jose Silicon Valley, sjDANCEco, the San Jose Repertory Theatre, and City Lights Theatre Company. Those of you who are hotheads of film will surely be interested in the fact that two important festivals are held here: Cinequest Film Festival (important festival for independent films) and CAAMFEST. 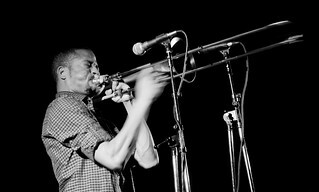 Another important festival, which is hosted by the city, is the San Jose Jazz Festival. San Jose provides a memorable dining experience. You will find here both fashionable, exquisite restaurants (Alexander's Steakhouse, Emile's Restaurant, La Fondue) and the common, but still tasty ones, that serve meals reasonably priced. Almost every street has a fine-dining options. San Jose is a city of diverse cultures resulting in the fact that you can found here restaurants serving food from all around the world. There are plenty of them serving African (Jubba Restaurant), Japanese (Orenchi Ramen), traditional American (The Counter), Mexican (La Victoria Taqueria), Mediterranean (DishDash), and Italian (Maggiano's Little Italy) to name just a few. As you can see, if you get hungry, while dating in San Jose, you have many options to choose from. The night life in the city revolves around the Downtown and there is no better place in San Jose to get entertained. Neighborhood is full of people until the early morning hours. There is a whole bunch of cafes (like Bill's Café, I Java Cafe), pubs (Firehouse No. 1 Gastropub, Trials Pub, O'Flaherty's Irish Pub), and dance clubs (Loft Bar and Bistro, Fahrenheit Lounge, Temple Bar & Lounge).